While lasers are typically associated with heat, scientists have found a way to use it for cooling water. Surprising new research out of the University of Washington has found that lasers can be used not just for burning, but for cooling as well. 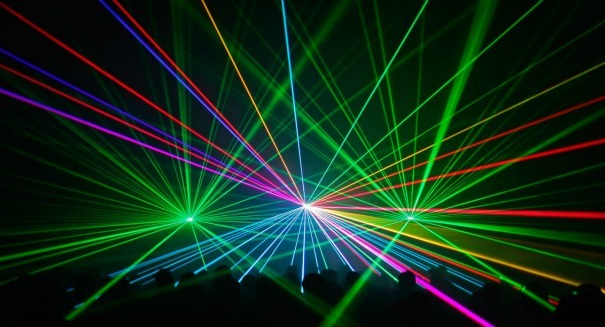 Ever since lasers were first discovered and builtin 1960, they have been used primarily for heating and cutting things, or creating spectacular light shows — but what if it could actually cool things? A new study published in the Proceedings of the National Academy of Sciences claims to have done exactly that, according to a Christian Science Monitor report. The scientists claim they have found a way to use a laser beam to refrigerate liquids like water outside of a vacuum — that is, in everyday conditions. Dr. Peter Pauzauskie, an assistant professor of materials science and engineering at the university,s aid in a statement that they weren’t sure it could be done because illumination typically warms up water rather than cools it. And it’s the not the first time scientists have theorized about the possibility. All the way back in 1995, scientists at the National Laboratory in Los Alamos found a way to do laser refrigeration, but it had to happen in vacuum conditions, making it not really useful for practical purposes. The researchers in this case shot a high-heat laser at a crystal that was suspended in water. The laser was so high it caused the crystal to glow, which in turn took the heat away from the crystal and the water that surrounded it. It’s an interesting experiment, but it will require a lot of experimentation and development before we see this in household use. The problem with this process right now is that it is energy intensive. However, it is a step forward that could lead to future efforts to improve its efficiency. As far as practical applications, it could help scientists isolate molecules for more detailed study, or target tiny areas for cooling in biological research.